One of the most fascinating articles we’ve found in the archives of the Wake Forest College student newspaper, the Old Gold and Black, tells the story of Ellen Lewis. Also known as “Aunt” Ellen or “Mama” Ellen, Lewis was a former slave who rose to local prominence as an accomplished nurse and midwife. 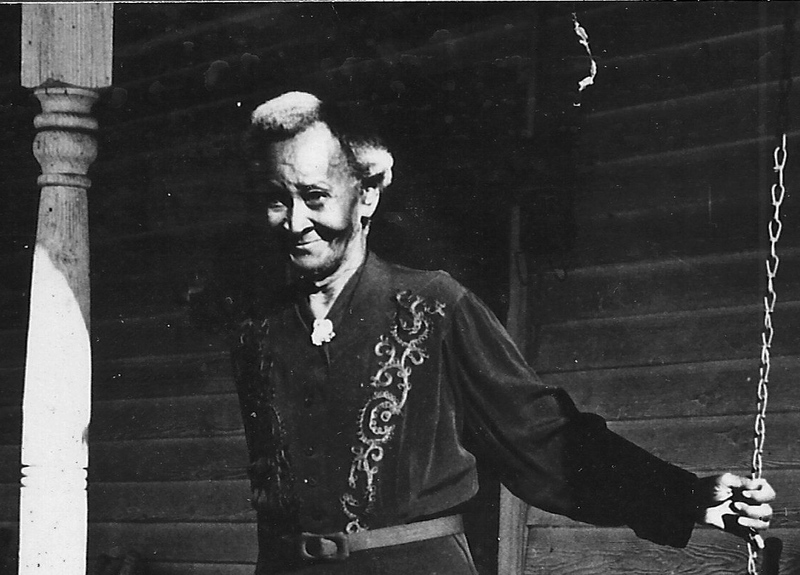 The great-grandmother of community leader Evelyn Jones, Lewis speaks with exceptional honesty in this original interview, published in the spring of 1945. She died in 1950 at age 101. It was just eighty years ago this spring that “Aunt” Ellen Lewis saw the Yankees come through Wake Forest at the end of the Civil War. It was then that she was freed from slavery. Aunt Ellen was 95 years old last January 6, but she is spry enough to walk to the beauty parlor to have her hair fixed, and vigorous enough to live alone and do all her own housework. 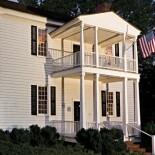 Her memories of the Wake Forest of the Civil War are as vivid as though they belonged to last week. The soldiers who came through here did not come until some time after the war was over. They were primarily the stragglers who were walking home. Once here, though, they stayed a long time. The first ones who came through stopped all the colored workers in the fields from working and told them they were free. Aunt Ellen was very emphatic about how glad they all were to be out of slavery. “Child, don’t you know, everybody wants to be free.” She said that, although she herself was never mistreated, many of the slaves were very badly treated. When people here knew the Yankees were coming, they didn’t bury many of their valuables; they thought it would be useless. They realized they would just be wasting their time. The Yankees ransacked the premises and tore up everything until they found what they wanted. They were big enough to do anything they wanted to do—when they gave orders they meant business, and most of the people realized this. Aunt Ellen said it was fatal to object in anything the soldiers did, or proposed doing. She said she saw only one man offer any resistance at all. This was a white man who objected to the slaves stopping work after they had been told they were free. The man was killed right there. After this no one objected openly. The slaves were just as busy working after they were freed as before. Many of them worked at the same place they had been slaves, but now they received pay. The rest of them worked for anybody who would hire them. They knew how to do many things and some worked for only food. Aunt Ellen doesn’t like to talk about mistreatment of the slaves. She tries to keep her mind occupied with nicer things, because memories of those days make her feel bad, and she wants to be happy in the present. The slaves were all hard-working people. They were on good farms and were raising plenty to eat. They raised almost all their food except sugar, and they didn’t know much about it then. They made their own coffee during the war by sending corn to the mill and having it ground into meal. Then they would brown the meal and use it for coffee. That was the only kind of coffee they knew anything about. Those were the days when they cooked real pound cakes. They hadn’t learned all these short cuts used today. “Sho’ as you born, they would melt in yo’ mouth, yes sir!” The slaves cooked on fireplaces that covered the length of one side of a room. Pots hung on racks from chimneys. Bread was baked in flat pans on top of hot coals. In making clothes, the Negroes did everything. They grew the cotton, spun the thread, wove the material, and then made the clothes. In the Spring of the year they sheared the sheep and made woolen thread for winter clothes. The Negroes would weave from dawn till dark, hardly looking up. All the material they made was not plain; they made cloth as colorful as that made by factories today. Aunt Ellen said she wished she had some of it now, that it would outlast modern material three or four times. It was a long time after the war before people began buying cloth because so many of the former slaves knew how to weave, and they would help the white people do theirs. Aunt Ellen was said to have been one of the best spinners around here. Her thread was very much in demand because it didn’t have knots in it. She enjoyed the reputation for a while, but later she got tired of it because, as she put it, “I wanted to play.” She was 15 at the time. Clothing was not all they made for themselves. They skinned cows, tanned the hides, and made leather shoes. The soles of these shoes were made of wood. She said they made very nice shoes, with shoe laces and all. Some of the slaves could make these shoes for you while you waited. The future owner of a pair of these shoes would mark the imprint of his foot on a piece of wood, the maker would cut the wood, stretch a piece of hide over it, tack it on, and there were your shoes. They made their own furniture, too. It was made out of the nicest wood, because all they had to do then was to go out and get it. The pieces of furniture were made in such a manner that the owner was able to take them apart and put them back together at any time. Sometimes the Negroes carved fancy work on these pieces of furniture. The stores in those days were very few and far between. You had to walk miles to get little or nothing. There is nobody else here who would tell you personal experiences of these times. Aunt Ellen shudders sometimes when she thinks about it. There were not many doctors when Aunt Ellen was growing up. There was a nurse here, though, and she took Aunt Ellen around with her on her calls. Aunt Ellen, still a young girl, thought that was the most horrible thing that had ever happened to her. But when she got into the work she found she liked it. The regular nurse was becoming old, and before she died she told everybody that Aunt Ellen was to take her place. Aunt Ellen was born in Wake Forest, and has lived here all her life. She probably knows more of the history of the people who have lived in Wake Forest than anyone else, for she was considered a fine nurse, and has worked in almost every home here. While she was working as a nurse, she had to work day and night. During this time she seldom got a chance to go to church. But since she stopped work about ten years ago she walks to church every Sunday. This entry was posted on September 5, 2013 by wakeforestmuseum in East End and tagged Aunt Ellen, black history, Civil War in Wake Forest, East End, Ellen Lewis, freed slaves, Mama Ellen, slavery in Wake Forest.